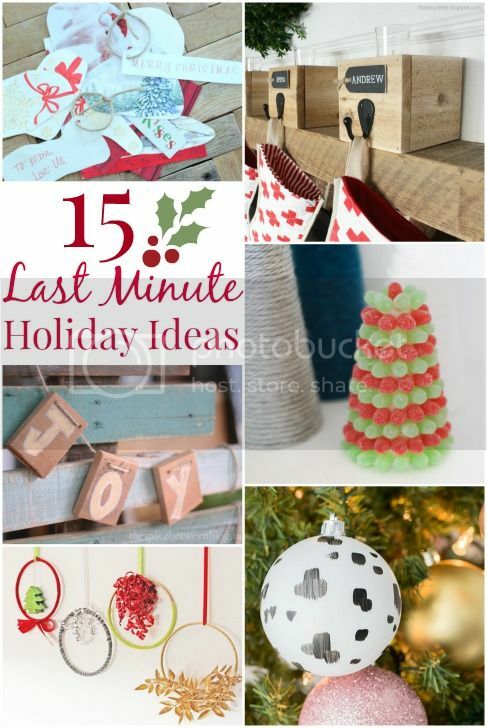 A few weeks ago, Karah from The Space Between and Jessica from Decor Adventures asked if I wanted to participate in a last minute project blog hop. I have terrible time management skills – "last minute" is practically my last name – so I happily accepted their challenge! Our only requirement was to find something around our house to make into a last minute holiday item. 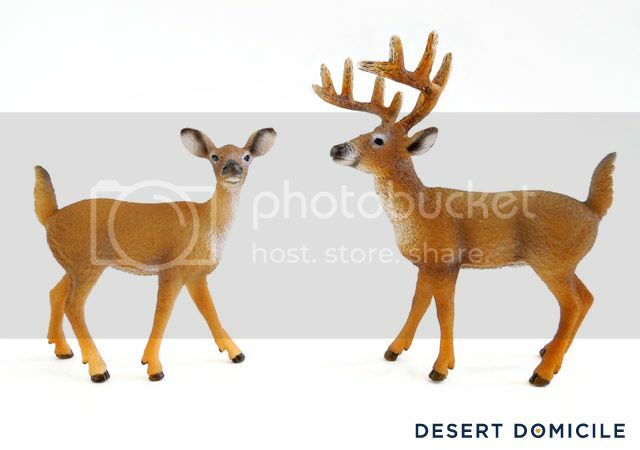 I found some plastic deer at Walmart that I had been holding onto for a Christmas project. I thought a paint job would make them more "holiday" so I got to work! Spray paint would've been easier than hand painting all their nooks and crannies but my can of white spray paint was clogged. Womp, womp. 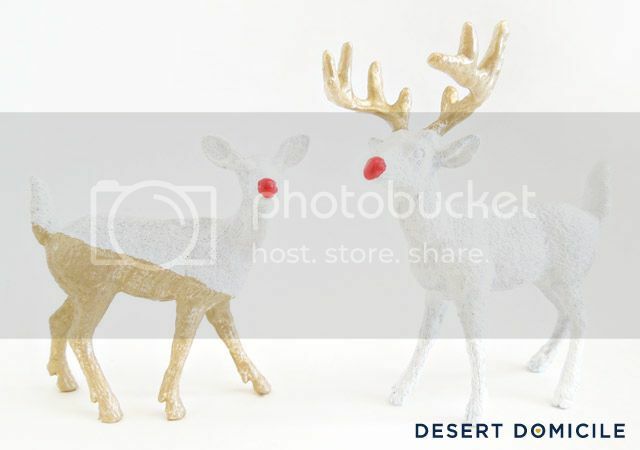 I had planned to do the same thing to the buck figurine but I thought gold antlers would be fun! Make sure you stop by Life on Virginia Street to see what Sarah made! Want to start at the beginning of the blog hop? 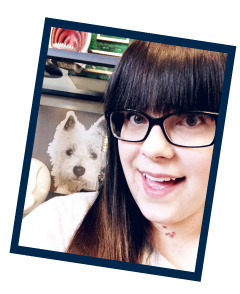 I'm linking to NewlyWoodwards' Dare to DIY party! Cute! Minus the red nose you could keep them out all year! I have some of those deer left. Love this idea! 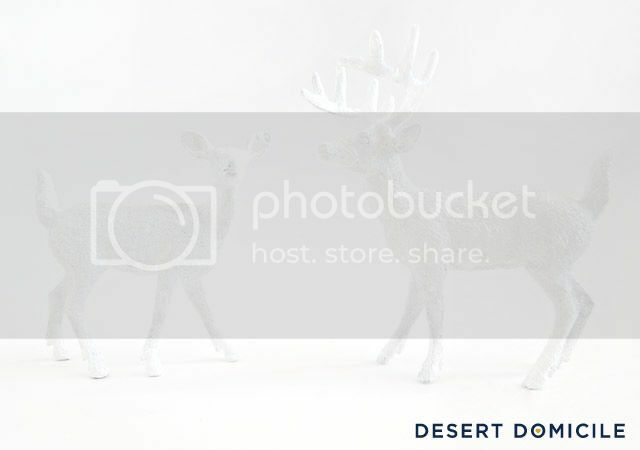 I always love a new way to decorate with deer! Such a nice modern twist! These are so cute! Love them so much better than the before! these are so fun and unique! maybe i should DIP ALL THE DEER. These are so cute! I love them! 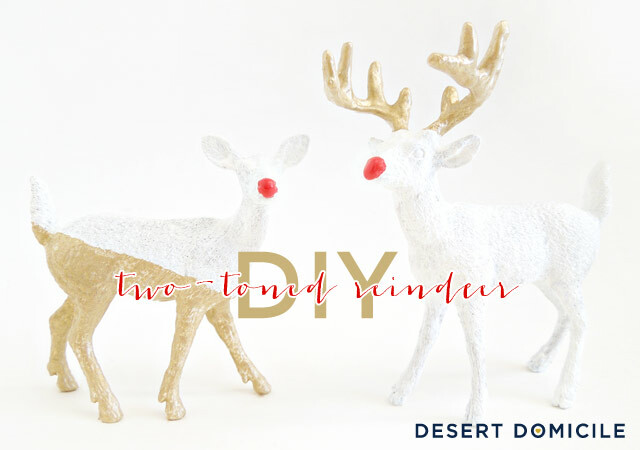 What a fun way to glam up plastic figurines! The nose is just so good... great save! so so cute! i'm glad you were on the deer page with me. 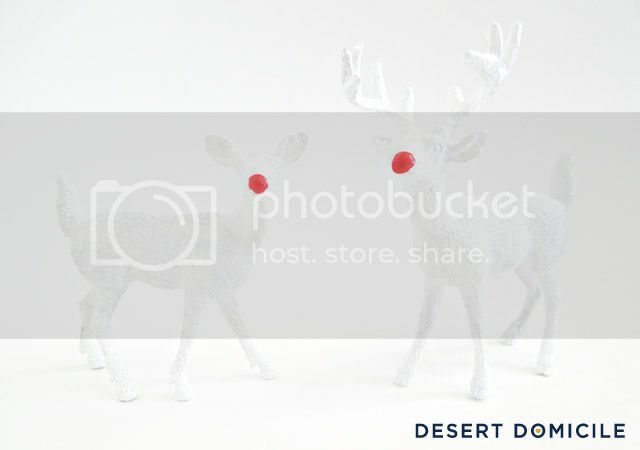 ;) we should just have a little deer convention with your cute cardboard one from your bar cart post! happy holidays, girl! I love the gold dipping, such a fun idea! Now I need to find some ugly deers and spray paint them!! Ohhhhh!!! Super cute! Love the adorable red noses! And your free hand diagonal line is ferociously good. Super cute! Love the red noses. Thanks so much for linking up to Dare to DIY! I always love seeing your projects. Love these deer! Such an improvement over the before. I think every house needs some sparkly animals at this time of year. Glad to have you join the party!